First appeared in totalfilmindonesia.com as “Mark Gatiss di Bab Terakhir Sherlock Musim Ketiga“. Reaching the end of BBC’s Sherlock season three (S3), fans are anxious to know of what comes next for the great detective. Luckily there’s a season 4 in the works; co-creator Steven Moffat has confirmed it. No matter how long it takes to make it – as the two leading men of the show are currently busy with their own projects – fans will definitely continue to wait eagerly. 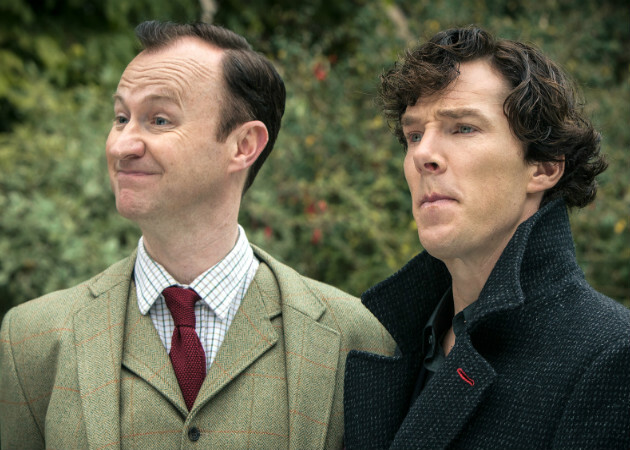 Meanwhile, we can probably wait by checking out all of co-creator and co-writer Mark Gatiss’ favorite Sherlock Holmes incarnations that inspired him and Moffat on the series. In addition to the Guy Ritchie films from 2009 and 2011, plus the American TV series featuring the detective (Elementary), modern audiences are spoiled for choice when it comes to watching Arthur Conan Doyle’s characters in live action format. Gatiss has a good theory on the phenomenon. “It has to be almost entirely down to the fact that the original stories are so brilliant. Arthur Conan Doyle is a genius writer, probably the best short story writer we’ve ever had. He was just a master of the form,” Gatiss muses. 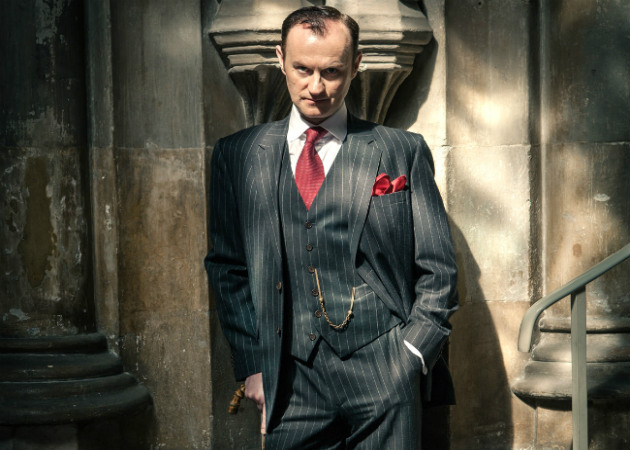 First appeared in totalfilmindonesia.com as “Mark Gatiss mempererat tali persaudaraan Mycroft dan Sherlock Holmes“. Playing the much smarter and more mysterious older brother of a “high functioning psychopath” consulting detective must not really be a walk in the part. But for Mark Gatiss, co-creator, co-writer and actor of BBC’s highly popular crime drama Sherlock, it’s as close to an ideal job as he could get. 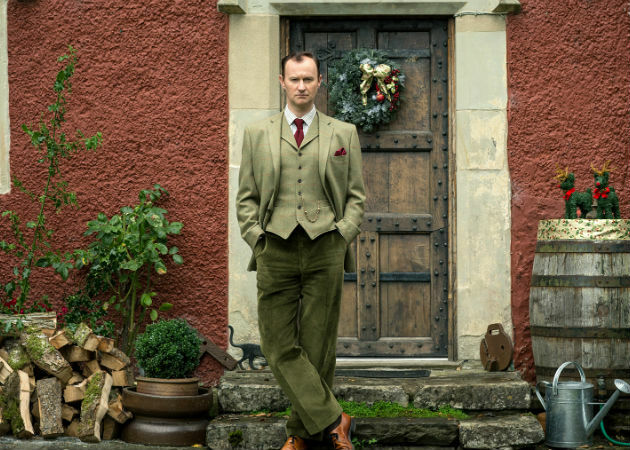 But what of building Mycroft as a character? 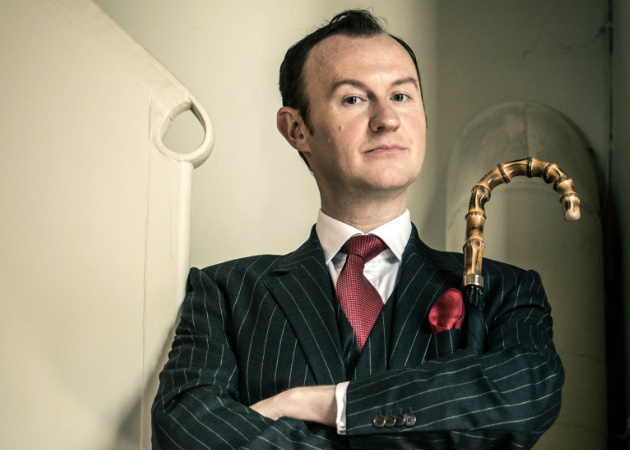 Gatiss, who is a big fan of the Arthur Conan Doyle books, has already said that his version of Mycroft Holmes took his cue from Christopher Lee’s character in Billy Wilder’s The Private Life Of Sherlock Holmes (1970). There’s apparently something more sinister with Gatiss’ Mycroft, as it is with Lee’s, compared to the one conceived by the author, as the character only appeared in 2 of the original stories. “As with all the characters what we’ve tried to do is give them a bigger life and background than they usually have. Mycroft was only in two of the original stories. And apart from being cleverer than Sherlock and enormously fat, there isn’t much more to it except that he is the British government,” Gatiss explains. One of the smaller, though no less interesting, mysteries of S2’s “The Hounds Of Baskerville” (which Gatiss wrote) was when Scotland Yard’s Inspector Lestrade came to Baskerville to aid Sherlock and John Watson in their investigation. At that time, Sherlock accused him of being sent there on Mycroft’s orders as his “handler”. We asked Gatiss about working with the actor Rupert Graves, who plays Lestrade, and the story behind the accusation. 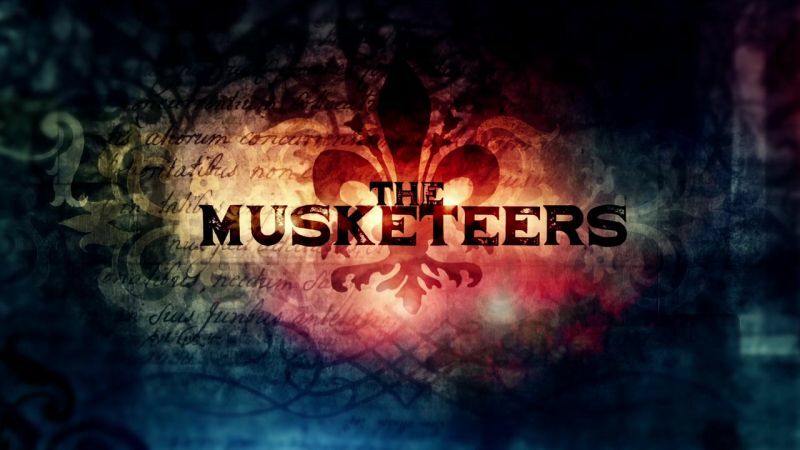 First appeared in totalfilmindonesia.com as “Mark Gatiss dan perjalanannya menulis ‘The Empty Hearse’“. After being broadcast last January in the UK (on BBC) and the US (PBS), now Sherlock’s much talked about third season (S3) is coming to Asia via AXN Asia. The BBC series adapted from Arthur Conan Doyle’s detective novels has a set of three writers – Steven Moffat (co-creator), Stephen Thompson (co-writer) and Mark Gatiss (also playing, as an actor, Sherlock Holme’s brother Mycroft Holmes). Gatiss, who co-created the series with Moffat, previously gave us gems such as “The Great Game” episode (S1) and “The Hounds Of Baskerville” (S2). In S3, Gatiss continues his work as an actor and pens the opening episode, “The Empty Hearse”. Here Gatiss will attempt to solve the long anticipated mystery of Sherlock’s resurrection, to give us some answers as to how Benedict Cumberbatch’s titular consulting detective can return to the world of the living after falling off a building. Ever since the end of S2 in January 2012, the internet has tried its best to circulate all the theories the fans can come up with and Gatiss, as the sole writer of “The Empty Hearse” will have to try hard to match the expectations that rose from those theories. But of course he has already had a plan for quite some time for the season opener. Gatiss claims that he and Moffat have known what direction they would take for the third season ever since the second season of Sherlock.